If the sound quality is not good enough in 2-channel playback, there is no chance of properly reproducing the source in surround sound. This is the idea that led to the development of this floorstanding speaker for a 5-channel system. 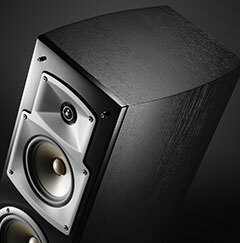 Every channel has an all-new tweeter and PMD cone woofer combination. 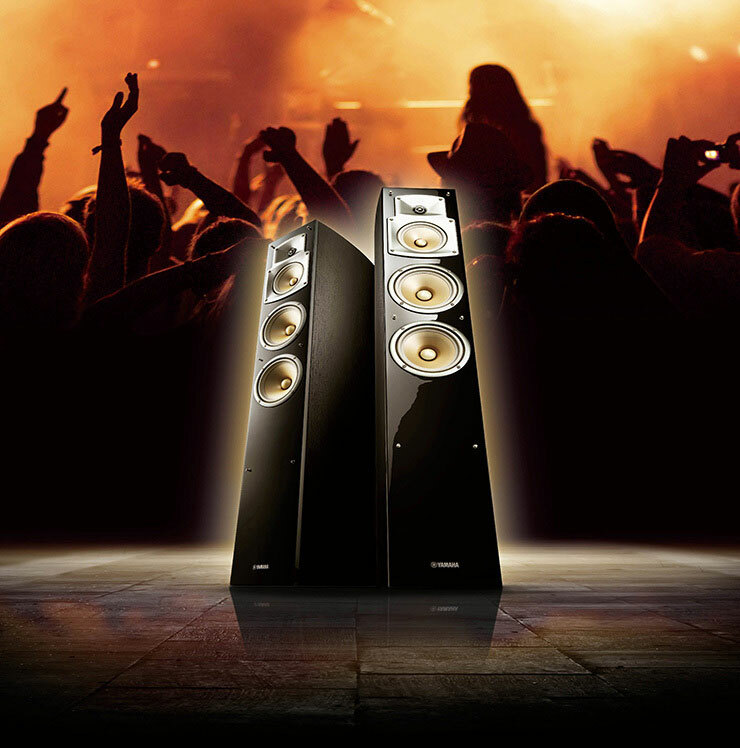 Able to handle audio-rich data, it ensures that expansive and seamless theatre sound will fill your room. As a next-generation unit, the NS-F350 employs a new structure that puts an aluminium dome inside the voice coil. The aluminium’s Black Anodised processing suppresses the aluminium-specific character of the sound, providing expansive and accurate reproduction of the texture and nuance of the high frequencies. With a new diffuser shape and a new voice coil using CCAW (copper-coated aluminium wire) it achieves 45 kHz (–10 dB) reproduction with extended high frequency range while maintaining the amount of information and energy in the audible band. Based on the idea of controlling spatial representation from the speaker, the waveguide horn directs the sound to reflect from walls and other surfaces. 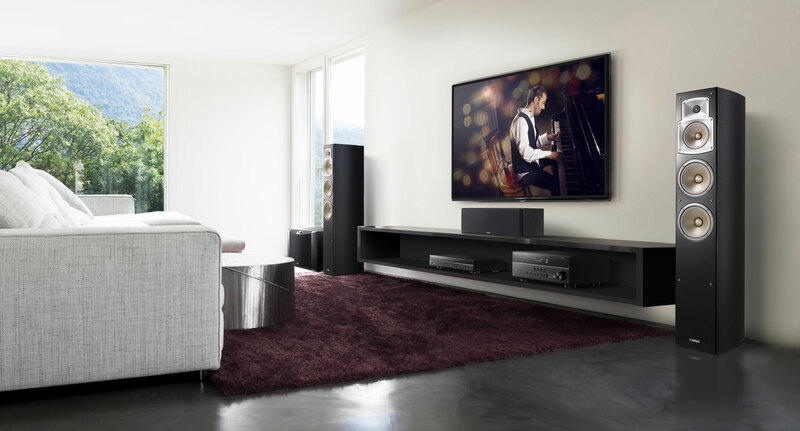 Thanks to the directivity of a left-right directional range of 135 degrees and a vertical range of 120 degrees optimised for home theatre use, it precisely recreates the sound field while minimising the impact of the room. The NS-F350’s 3-way, 4-speaker configuration utilises a PMD (Polymer-Injected Mica Diaphragm) cone, midrange and woofer, already proven to achieve ideal internal loss and high elasticity characteristics through light weight and high rigidity. Its SN ratio excels in the range of the human voice and vocals, and its low frequency range is supple and transparent in tone. The cabinet features a rounded shape that curves smoothly to both sides. By reducing the number of parallel surfaces it minimises standing waves and unwanted resonance. The front baffle has a double structure with a mirror-like piano finish. With reinforced strength, it produces more natural, extremely transparent tones.